A brownie that truly takes the cake. Good things come in small, chocolate packages. 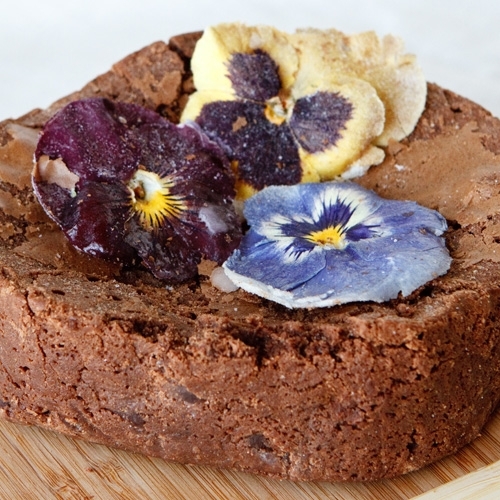 This three-inch round brownie cake topped with sugared pansies will satisfy any chocolate craving. Each cake is individually wrapped in cellophane, and then delicately packaged in our signature gift box.